With its annual hosting of Art Basel and a flourishing design district, it’s safe to say that Miami is a city that heartily embraces style. But for designer Jennifer Bunsa, that style has grown to be somewhat homogenous. “When people typically think of Miami design, it conjures up images of white lacquer and lucite or beige on beige on beige,” she says. Countering this, however, is her new design showroom, co-opened with former classmate Stephanie Denault: WorkRoom. Focusing on handcrafted, well-made designs with an emphasis on female designers (including Materia Designs, Aja Blanc, Peg Woodworking, Alice Quaresma, and Marthe Armitage), WorkRoom is nestled in the city’s design district and serves as a resource for interior designers and is open to the public by appointment. Opening a showroom in Florida made perfect sense for the design duo, who earned their undergraduate degrees together at the University of Florida. After working in interior design in New York City for 10 years (after earning her masters in architecture at Harvard), Bunsa returned to Florida and with Denault, who runs her own boutique design studio, sought to bring a new style to a space further south. 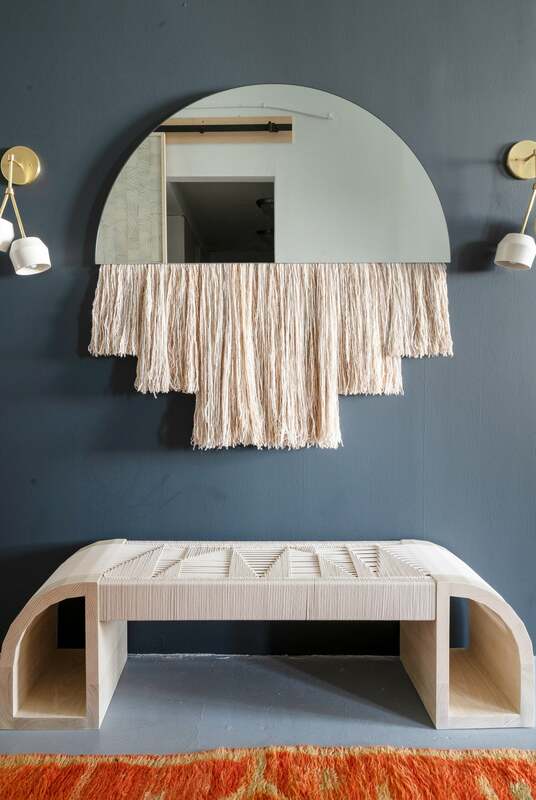 Though many of the current designers are based overseas or in other parts of the country, Bunsa hopes to heighten WorkRoom’s emphasis on local talent, in addition to offering original designs (made with the help of Floridian artisans), starting with a custom table, constructed by Grove & Anchor. The showroom itself is airy and distinctly contemporary, and though some pieces teeter between mid-century and bohemian, they strike a chord that feels fresh and inspired. Pops of plant life complement colorful textures and add in a natural element alongside rich wood furniture, while macrame and woven designs bring a fresh take to Miami style.